His red fins are amazing! What species is he? 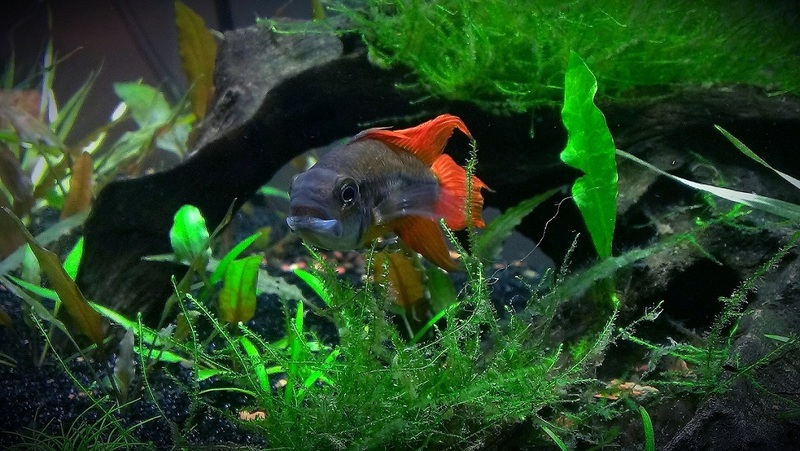 He's is an Apistogramma cacatuoides 'orange' Thank you! He's got so much personality too. Check out my other pics of him, the one where he is displaying his fins is awesome. $40 is a bit steep in my opinion. I was looking for some of these but a seller said they are SUPER sensitive, is this true? yes for the most part, idk about SUPER pretty hardy if your tank is right.